I have always been mistrustful of the rhetoric on decolonization. Our difficulty deciding its meaning not only consigns it to a realm of needless obscurity but also frustrates our cause, which I understand to be the reimagining of the entire knowledge-making apparatus in the pursuit of a just, humane and equitable social order. The major problem with the term “decolonization” is its status as empty signifier. My concern is that the radical potential of decolonization discourse—because of its indeterminacy—is always at risk of being co-opted by hegemonic political formations. We have witnessed such reversals already in the fate of the so-called African Renaissance, an idiom that was meant to signify continental rebirth but was converted instead into the ideological glue that rationalized former South African President Thabo Mbeki’s export of free-market economics across Africa. We also observe it in university life today with the relentless commodification of engaged scholarship into just another signpost on the road to tenure. I would regard decolonization as being another one of those radical chic terms. 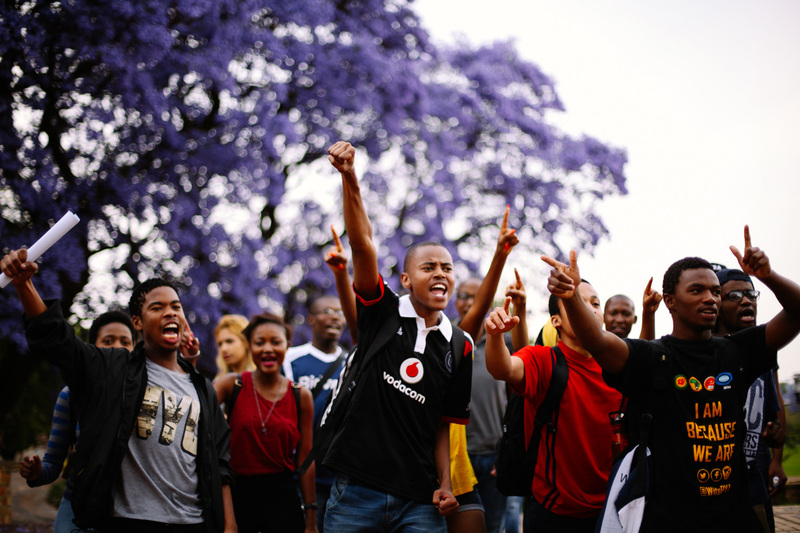 Everyone who cares about the future of higher education in South Africa is talking about it, yet most admit they do not know what it actually means. It is no accident that the looseness of the term is consistent with the anti-foundationalist values of the intellectual tradition with which it is most closely associated, namely, postcolonial theory. Indeed, the postcolonial genre is itself difficult to master, being viewed in some quarters as not theory at all. It has been regarded, even, as a form of post-theory: criticize a postcolonial writer, Vivek Chibber warns, and you may be dismissed for having misunderstood. There is another reason to question the decolonization agenda—specifically, its suggestion that the academic disciplines we have inherited remain suitable as disciplines in a society as historically contingent as ours. For example, it is one thing to question the topics and methods of a discipline such as psychology, but it is another matter entirely to question the existence of psychology altogether. Disciplines as they exist today do not represent, in the words of Plato, “the carving of nature at its joints.” They only exist because particular societies have deemed particular problems worthy of investigation. There is nothing given about a disciplinary order, which only emerges as a result of specific arrangements between knowledge-making communities and powerful interest groups. Approaching decolonization as an intellectual project that targets individual disciplines, therefore, is a nonstarter. In the 1970s, the theorist Gayatri Spivak castigated French feminists for expressing solidarity with Vietnamese women. It was the first time in the history of the socialist left that someone from the Global South had questioned the possibility of universal comradeship. From there, postcolonial theory took off, its popularity in no small measure the result of the general disarray of the left. Today, internecine conflicts among academics and students—both in South Africa and internationally—find socialists and anti-racists being put down as conservative and racist. And that is perhaps the most pernicious effect of decolonization discourse: the now widespread belief that one’s identity constitutes an argument in and of itself, a belief that is surely antithetical to the very concept of a university. The idea that only black people may speak for black people, that only women may speak for women, that only disabled people may speak for disabled people, that only disabled black women may speak for disabled black women—in short, the idea that only the oppressed may speak for the oppressed, and only if they are identically oppressed—is one of the most absurd yet dangerous ideas in circulation today. Postcolonial theory denies the possibility of empathy—of a shared humanity—and it is for that reason that it cannot provide the ethical vision we need now more than ever. An extended version of this argument appeared in New Agenda, Vol 69.